The home-based Eagles will not get any win or draw bonus at the on-going WAFU Cup holding Ghana. Rather, members of the team will share from any prize they win at the competition featuring eight teams from the West Africa sub-region, reports ghanasoccernet.com. 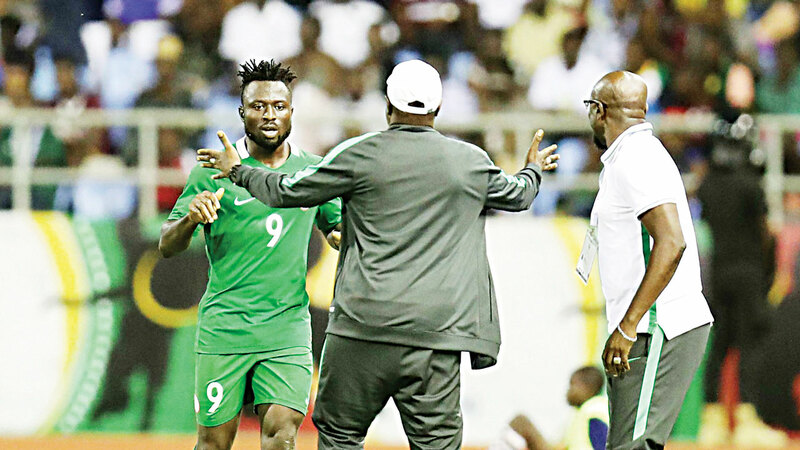 The website quotes SCORENigeria as disclosing that the Nigeria Football Federation (NFF) has promised to leave the $100, 000 prize money to the Eagles if they win it. The Eagles are already through to the semifinal of the competition after they beat hosts Ghana last night to finish runners-up in Group A. So, if Nigeria were crowned WAFU Cup champions on Sunday in Cape Coast, the team of 18 players and seven officials will share this cash. There is also prize money for the runners-up as well as the third-placed team. This will not be the first time that the NFF have gone ahead with such an arrangement as it would be recalled that an U19 team led by coach Manu Garba to a Suwon International Tournament in Korea were not paid any bonuses, but instead shared the appearance fee of about $10,000 from the organisers. Meanwhile, Coach Salisu Yusuf has praised his team for rising to the challenge of beating Ghana 2-0 to qualify for the semifinals of the WAFU Cup. Second half goals from Anthony Okpotu and Peter Moses in a spate of three minutes swiftly improved their fortunes. The Super Eagles had drawn their opening two matches in the group phase and needed a win to remain in the competition. “Against Ghana we took our chances,” said the Super Eagles coach. “In the first half we couldn’t score. In the second half, our first two chances we scored the goals and we still missed some two chances. Nigeria are billed to the play the Group B leaders tomorrow at the Cape Coast Stadium in the second semifinal on the day.